What are the criteria for diagnosis of Gynecomastia? In the nonobese male, breast tissue measuring at least 2 cm in diameter must be present before a diagnosis of gynecomastia may be made. Mammography and ultrasonography are used to differentiate breast tissues. What is the differential diagnosis of Gynaecomastia? What are various grades of Gynaecomastia? What is the surgical management of Gynaecomastia? The most common approach is the intra-areolar incision, or Webster incision. 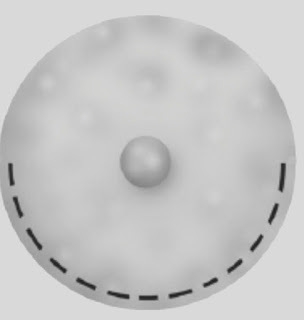 The Webster incision extends along the circumference of the areola in the pigmented portion.